The teeth are induction hardened to ensure a high grip is maintained. The Footprint Pipe Wrenches have drop forged hooks and are fitted to a pressed steel frame. The teeth are induction hardened to ensure a high grip is maintained. 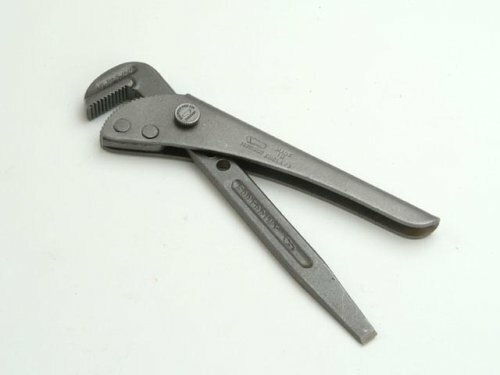 This traditional plumber's tool is an all purpose wrench which grips the workpiece tighter as more pressure is exerted. Removable screw for easy adjustment. This style has a screwdriver end on the handle.